Well, these past few weeks have been mostly about making music in both of the bands I sing in, Cadaver Club and Setting Off Sirens. The Cadavers had the big Rebellion gig to work up to and Sirens had some legal hoops to jump through and the Monsters Of Rot festival to prepare for. To warm up for Blackpool’s Rebellion Punk Festival, we thought we’d better book a Cadaver Club gig to shake the rigor mortis from our bodies and the mud from our fingernails. We played the Limelight in Belfast and had a great show. I had decided to video our set to see how gig-fit we were but as I had forgotten to tighten the tripod we ended up with a 45 minute video of the ceiling – pitch black! 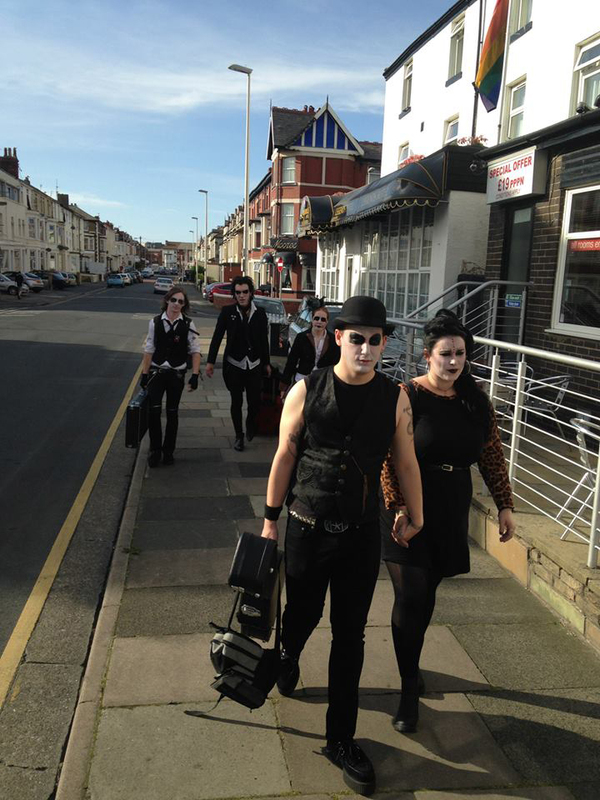 Anyway, we were in pretty good shape for a bunch of walking corpses and were ready to bring our horror-punk to the seaside! This festival is a really big deal and one hell of an opportunity for everyone that gets to play it so this group of gravediggers were going to go in “all shovels swinging”. We thought we’d put our war-paint on in our hotel for the laugh and walk down the street like a death march to see what reaction we’d get. We got none! Nobody batted an eyelid. This WAS Blackpool after all, there’s nothing they haven’t seen.